When a word, a single word defines a moment for Anne she needs to find a new one when her spouse leaves her at the age of 47, coming out of the closet literally in a closet. Anne finds herself back in her hometown amongst her high school friends which she left behind in her past. She is a successful translator. A mother and now an ex-wife. An inheritance from Amanda, the first of her group to die leaves her with the means to meddle and spy on the lives of the picture perfect lives of their mutual acquaintances Anne is at first not very keen on the idea but she meets Connie, and their high school friendship is cemented by one common denominator. They both have lost their spouses. In an attempt to run from her reality, not to deal with her current situation Anne gets engrossed in a game of "fun" and "flirtation" with Connie at her side. Anne however did not read all the files. She did not see all the profiles and it turns out that what to her is fun games turns into a deadly reality. It is no longer a game. It life or death and not even a defining word can stop the reality of manipulation. In this soul-bearing book, Donata Joseph reveals why she stayed in a seven-year abusive relationship and the incident that motivated her to leave. She talks honestly about the judgmental remarks elicited from family and friends who did not understand the emotional, familial and financial complexity of her situation or why she did not recognize herself as a victim. In a heart-wrenching chapter, Ms. Joseph discusses the impact her abusive relationship had on her two teen daughters and young son and the ensuing parent-child conversations that changed all of their lives. If you or someone you know is in an abusive relationship, consider recommending this book. Ms. Joseph wraps up her knowledge, wisdom and advice in a non-threatening package delivered with compassion and understanding. Donata Joseph is a motivational speaker who is passionate about encouraging, empowering and elevating individuals in all walks of life. Whether it's through her non-profit organization Adding Doses of HOPE Daily Foundation or through her all natural skincare line DONATA, she endeavors to make and impact on the lives of others. Donata Joseph believes in making her mark and changing lives. In 2011, Ms. Joseph founded Adding Doses of Hope Daily Foundation to empower families of children with Attention Deficient Hyperactivity Disorder (ADHD). She wanted to share her experiences, challenges and tips for raising two children diagnosed with ADHD. In 2012, she decided to break the silence and address the escalating issue of Domestic Violence. 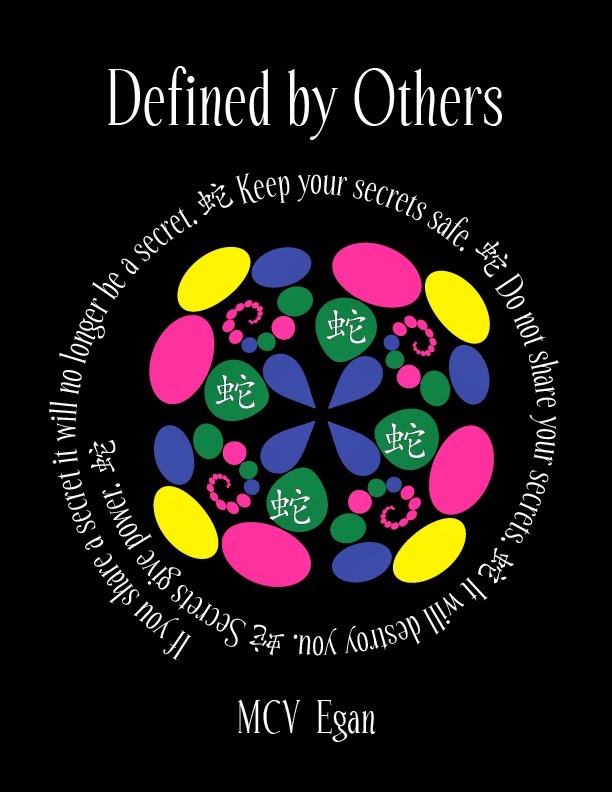 Her blog, Behind Closed Doors, chronicled a seven-year abusive relationship. The post elicited responses from people all over the world. The Foundation sponsors events and programs that bridge the gap between mental health and healthy relationships. Through motivational speaking, youth mentoring and parenting education, she encourages, empowers and elevates individuals in all walks of life to reflect on their overall mental wellness. Prior to founding Adding Doses of Hope Daily foundation, Ms. Joseph volunteered in a variety of community settings, including nonprofit organizations, youth centers and churches. In 2013, Ms. Joseph created DONATA, a natural skin care line that also offers skincare, nutrition and health seminars. She uses this platform to empower teens and adults to see the connection between their minds, bodies and spirits. 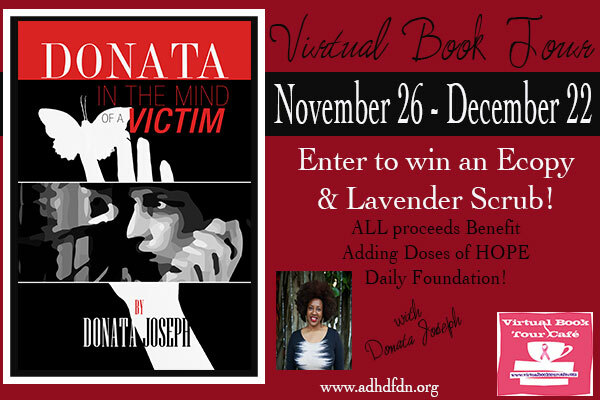 The proceeds from DONATA help fund programs for Adding Doses of Hope Daily Foundation. Ms. Joseph obtained her Bachelor’s Degree in Psychology from Florida International University with an emphasis in Behavioral Analysis. She was a research assistant in the University’s Center for Children and Families, where she focused on research and treatment of evidence-based approaches in child and adolescent mental health. She lives in Miami, Florida with her three children. On a world with three moons, where the seas tides can rise by one hundred and fifty feet or more, and magic is real, Gods walk about, and death is swift. Elluween is a young woman in a world filled with Knight and Nobles vying for land and power. 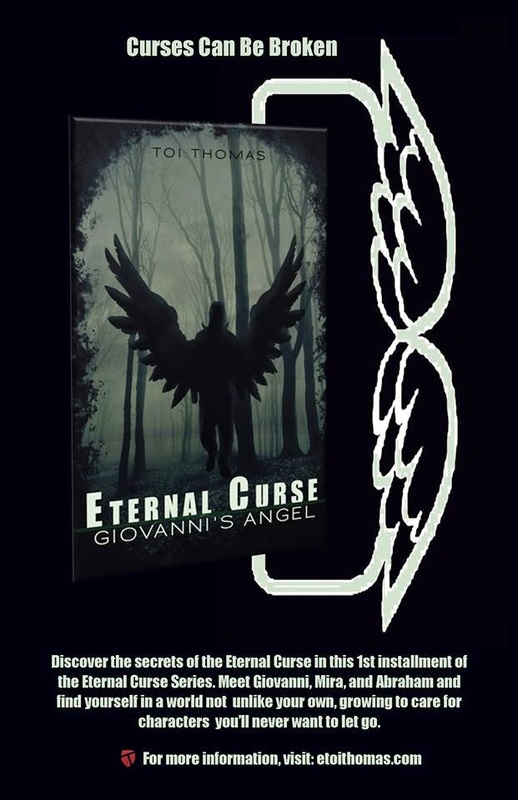 A land of supernatural creatures and monsters where mankind is in a near constant struggle for survival. How can she survive? She is a True Wizard. 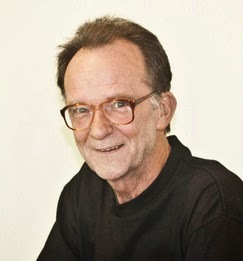 Carl Rhodes has lead a life of service to others. In doing so he has met people all over the world. This has given him what some have called a different view of the world. As a child he never wanted to read till a teacher let him read about science, then science fiction and all kind of electronics. At four he removed all the door handles in the house and sold termite trap to the neighbors. He and his brother Mark build a Gemini Space Capsule using NASA control panel layouts drawings and sticks for switches. As he has said of his writings: They are just figments of my warped imagination. 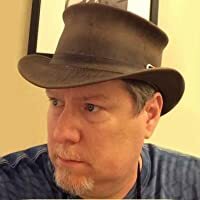 Warped by thirty odd years of military and civilian service, odd jobs, the Society of Creative Anachronism, reading, gaming, and working with rockets, Missles, satellite, or computers systems. My family, friends, acquaintances and working environment have helped deform my mind and drive me to write. So read my books and enjoy the ride. A gypsy at heart, I write the way I live, following the story wherever it may lead, always ready to start the next one. This is clearly reflected in my body of work which to date includes everything from Children’s Lit to Thrillers. I happily reside in sunny Florida . 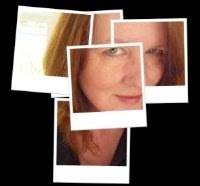 Author Bio: My name is Michelle Arrose. I am currently a teacher. I enjoy writing and completed a short-novel titled, "IGNITION" Throughout my entire life I have always felt inspired to write. I also am a strong believer in being a teacher advocate. If my novella could help educate people as to the hardships educators face today, then I would be extremely elated. This is my first novella and hope you enjoy it. 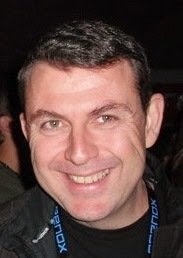 I also set up a blog which is: marrose215.blogspot.com. 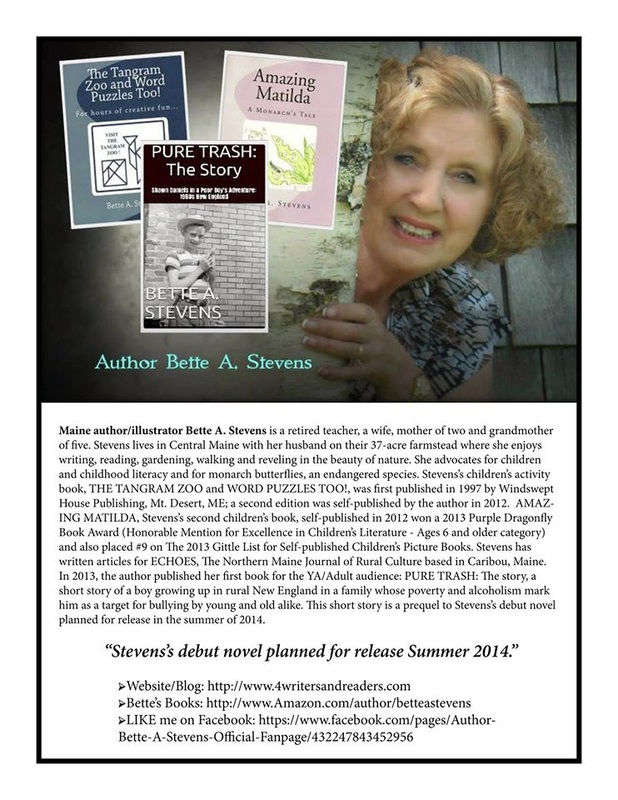 Feel free to follow me as I continue to write many more literary works. 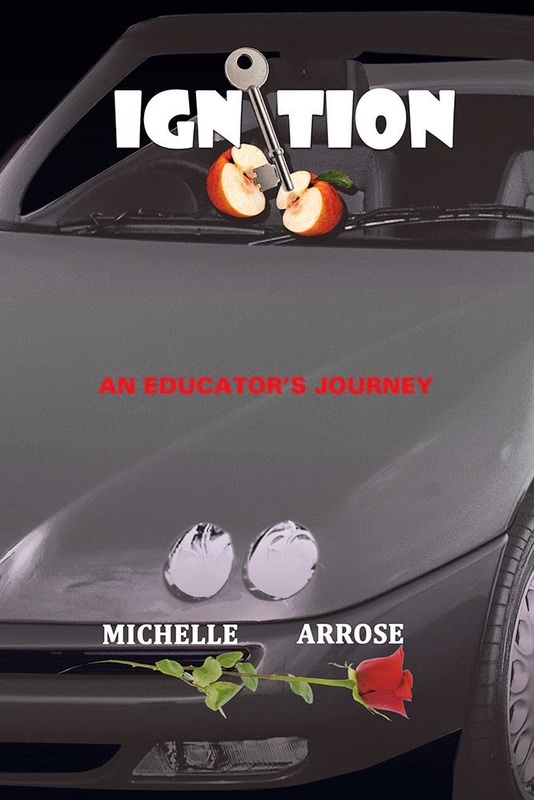 "IGNITION" is about a first year teacher. Karen Woolsworth who was given (in her mind) an excellent opportunity to work in a school and educate the young minds of today. However, little did she know that teaching led to her nightmare rather than her paradise. One troubled student, Kevin Connelly, becomes part of her obsession that she cannot focus on anything else. A teen that has a disturbing past. Kevin is a representation of the typical student that educators face every day around the world. Karen is left feeling alone in the world and fearing for her life with no support from administrators. Ms. Crowe, the Assistant Principal, is a woman who follows Karen's every move like a bird. Instead of a dove she becomes a vulture who eats away at the mental psyche and emotional stamina of Karen's well-being. The only salvation in this pool of chaos is Billy, her husband. However, he has difficulty relating and understanding the educational dilemmas which Karen faces. The constant struggles that Karen encounters to balance her life as a teacher and wife weigh her down daily. This book is a rollercoaster filled with emotional ups and downs until the ride ends. 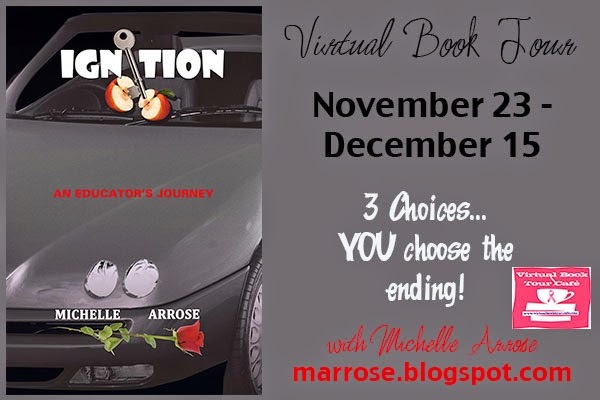 This novella is unique for its alternate endings and you get to choose exactly how Karen's ride ends. August 24, was a magical day for me. Not magical in the sense of wizards and sorcerers, but rather in the sense that I, Karen Woolsworth, landed my first teaching position. I was so excited. I could not wait to go home and tell Billy, my husband, that all that hard work paid off. Two long years of rigorous graduate school, finally over. Taking all those teaching exams and suffering for hours with a proctor staring at you, sizing you up while tapping her pencil, and distracting your every thought when you needed to be in control at that time. The day started out dreary. I woke up to rain. I spilled coffee on one of my suits and had to go to the interview in my navy blue suit and white blouse. It was not my favorite, but it had to do. I hoped that spilling coffee on my suit did not mean bad luck. That morning, my curly dark hair stood as frizzy as can be. I felt like a cat that just had gone through a car wash. Imagine how he would look. Well, the spilled coffee delayed me a bit, but I raced for my interview as fast as a jaguar runs and I made it right on time. I was lucky that I did not get a speeding ticket. Billy would have been quite upset if I had. I also would have missed the job interview. Oh, what a shame that would have been! He asked me, “What made you want to go into teaching?” I do not even remember what I answered him, but he must have been pleased with my response. During the interview, there was another person in the room as well. This person happened to be an assistant principal. She was on the large side with curly short blond hair. Her glasses hugged her ears tightly. She was the one who asked some tough questions. She had a poker face on the entire time and did not crack a smile once. Her name, I will never forget was Ms. Crowe. She reminded me of a spectacle-wearing shark staring at a guppy. I guess that you can guess who I was in that scenario: the guppy. I remember Ms. Crowe’s last question was one of the toughest. I must have looked at them dumbfounded. I could not believe this question. I had just graduated from my master’s program. I had never taught before. I did not know what to say. At that moment, a magical thing happened. The principal’s secretary came in and interrupted us, saying that he had an urgent call from his wife. He told me that I have the job. Naturally, I accepted the job with alacrity. He then excused himself. If I had had time to answer the question, I believe that I would not have gotten that job. He informed me that I would have to teach a self-contained eighth-grade class which meant that I would have to teach the same children throughout the day. My only hope at this point was that my students would be great and not horrific. I thanked him and walked out of his tight, stuffy office, leaving him and the shark behind. As I walked out the door, I felt relieved that it was over and my teaching career would begin. The following week I would start and I could not wait. I was overjoyed that I felt like skipping down the block. However, in case the principal should glance out the window, I knew I had to maintain self-control and save that giddy emotion for when I got home. 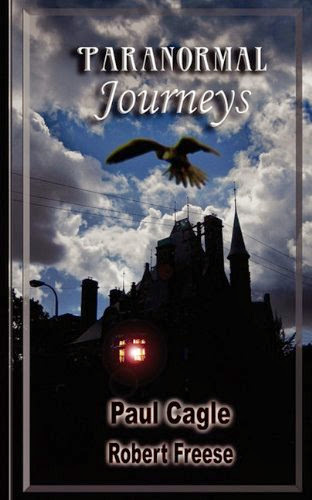 Paul A. Cagle published his first book, Paranormal Journeys, in October of 2010 with limited success. It would be another two years before he sat down to start working on another book, this one a novel. 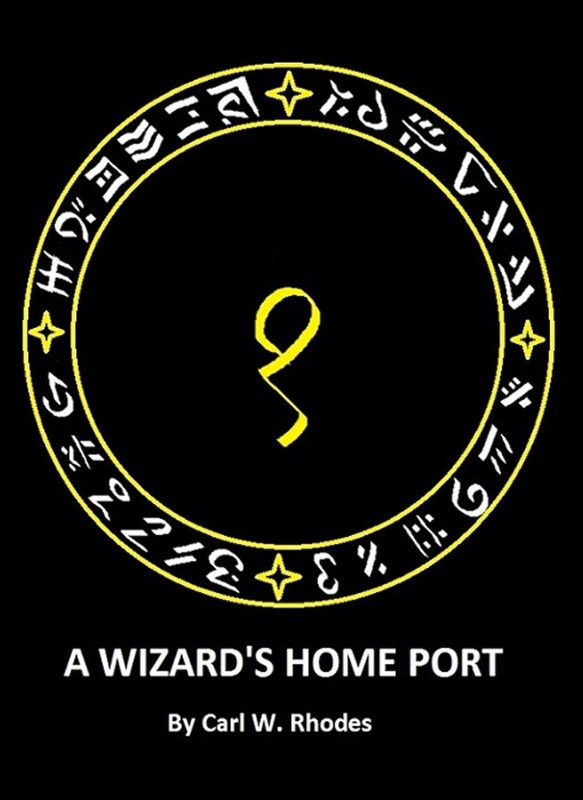 After getting laid off from his job at a major insurance company, he decided to start writing a story that had been in his head for several years, and Shadow Born: Book 1 of the Shadow-Borne Chronicles started coalescing into something that resembled a novel. There were quite a few stops and starts along the way, moving from one place to another, switching jobs and trying to figure out what direction to take in both his personal life and the story line. Two and half years after it was started, Shadow Born was published on Kindle and Amazon. 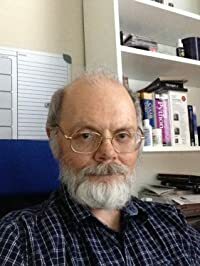 He is currently working on book two which doesn't yet have a name, but he is hoping it won't take another two and half years to finish the second novel. Paul is a huge fan of the vampire genre but didn't want to write the same old story being told by others. Instead, he took a character, figured out what made him different and wrote a book based on the trials and issues that someone might find themselves in if they were 'human' but had abilities that made them stronger and faster than a creature of the night. 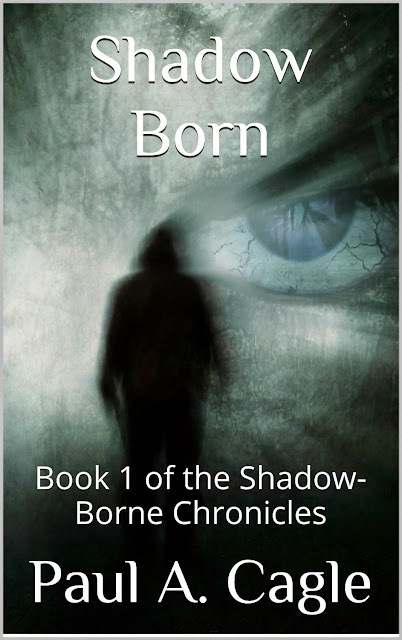 Shadow Born follows the life of Alec Carson, a young man that finds himself in a dark world of immortal beings, dark power plays and an unknown enemy that wants him dead. Pick up your copy today to find out how Alec fares. They lurk in the darkest corners of a forgotten cemetery, within the shadows of a forlorn country hotel, among the swaying branches surrounding Devil Worshippers Mountain and inside the long corridors of an abandoned hospital. They are watching us, trying to make contact from the other side. They exist within a world between ours and the next. Take this journey with paranormal investigator Paul Cagle as he encounters supernatural phenomena while searching for the ultimate truth. It is a journey you will never forget. L.B. Johnson knew how to get things done. She had been immersed in a world of complex puzzles, and tangled story lines of physical and governmental laws. She was quite sure she was up to the task of raising a black Labrador retriever puppy. His name was Barkley, and in being himself, he led his owner down a path of joyful discovery, loving frustration, and self-sacrifice. Their journey together will speak volumes to anyone who has ever had a beloved animal as a heart’s companion…from the gentle nuzzles that healed in moments of crisis, to the saintly patience needed to deal with a small pink ball with feet, named “Mr. Squeaky,” who interrupted many hours of sleep. It is the story of rambunctious trespasses such as “the bacon incident,” and the loving trust that bound a woman and her dog together in unspoken understanding. 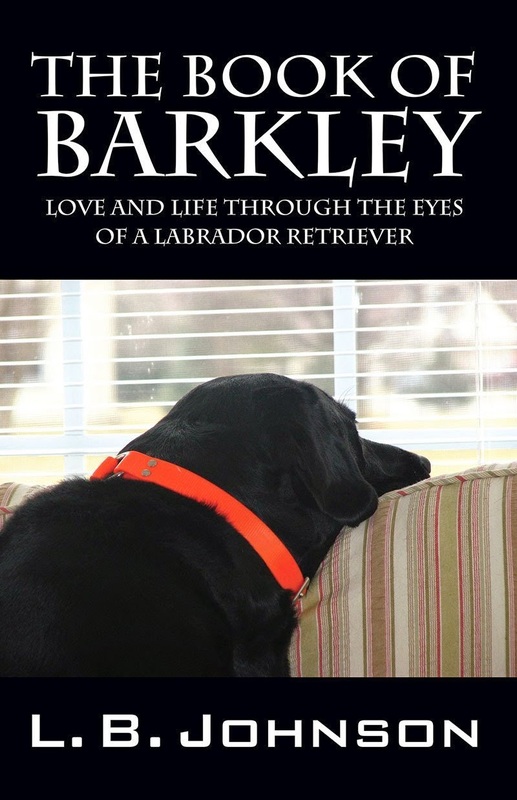 The Book of Barkley is a tribute and memoir that will resonate with everyone who has reached out unthinking to pet a beloved animal…only to remember that a beloved friend is no longer present. Honest, transcendent, and beautifully written, The Book of Barkley is a love story that will enrich every animal lover’s library. LB Johnson's first novel "The Book of Barkley" was published in July of 2014 and soon made the top 100 in genre at Amazon. She lives in the Midwest with her husband and a Labrador Retriever rescue named "Abby Normal Johnson". something led me wonderin’ ‘bout all the years gone past. came to me like lightnin’ yet I don’t know how or why. Four score years had come and gone, but where oh where, indeed? ‘Twas no use lookin’ back in time at every little deed. I’d seen so many things in life and done so much, ya know. a good old fashioned solid one left to me by me Dad. possibly from Gunnedah, Dad used to work near there. it stored me kindlin’, housed a pup and chores along the way. I’d had that old banana box forever and a day. I grabbed it firm and turned it, not knowin’ what to seek. and sure as hell that wooden crate had never caused me strife. it never gave me misery and never made me frown. my best crate had been a mate, much better than a wife. once it stored some bulbs I found, by God they were so good. buried the bulbs and sat me box on the wood stove hob. and there it did a wondrous job, I’ll tell ya now, by jove. became a ferret’s home just near the old back paddock gate. ‘twas there I lent me old crate to a snivellin’ bloody Pom. recite sweet words, smile a lot, and wave his whoppin’ hand. runnin’ fast I caught that bloke, to him me spleen I vent. a shifty one was he, but now I can’t recall his name. it housed me clothes, some shavin’ gear, me billy and me tea. it might have looked real rough, ya know, but did the job by half. yeah, me and that banana box are still a pair to date. up some hills and down some dells, amazing what we’ve seen. scratched, with dints and travellin’ wounds; and none have done it harm. maybe place it near me bed to save on wear and tear. we’ve weathered storms and troubled times; survived the lot by fate. to rest it from a useful life – revere it, like me Mum. right beside the piano stool, it fitted neatly there. in case I dropped some ciggie ash or something that would stain. ‘cause every time I’d used it, it had offered no chagrin. that banana box remained me mate, we travelled everywhere. it’s right here to the right of me, just like a country bride. promote a box that’s always bin just like a favourite son. it sure as hell ain’t fantasy and nor is it a dream. The one thing I can tell ya though, ‘That box will outlive me’. 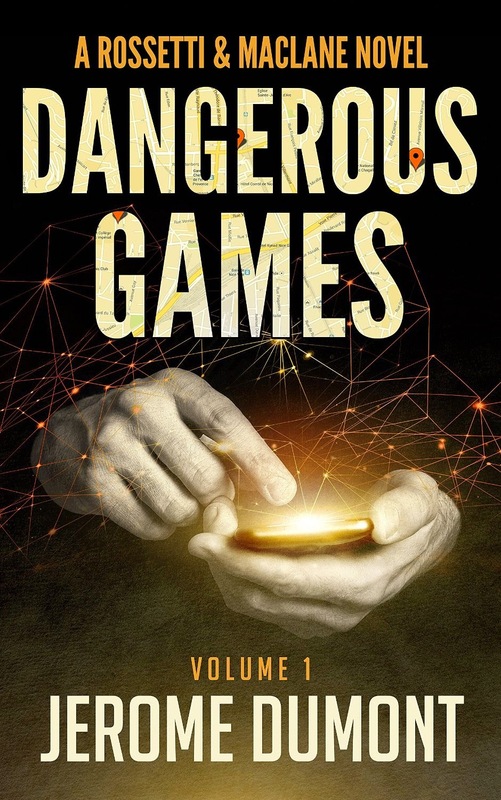 DANGEROUS GAMES What starts out as an ordinary divorce procedure ultimately takes lawyer Gabriel Rossetti and his client Amanda Deschamps on a thrilling adventure into the world of on-line gaming and personal data piracy. 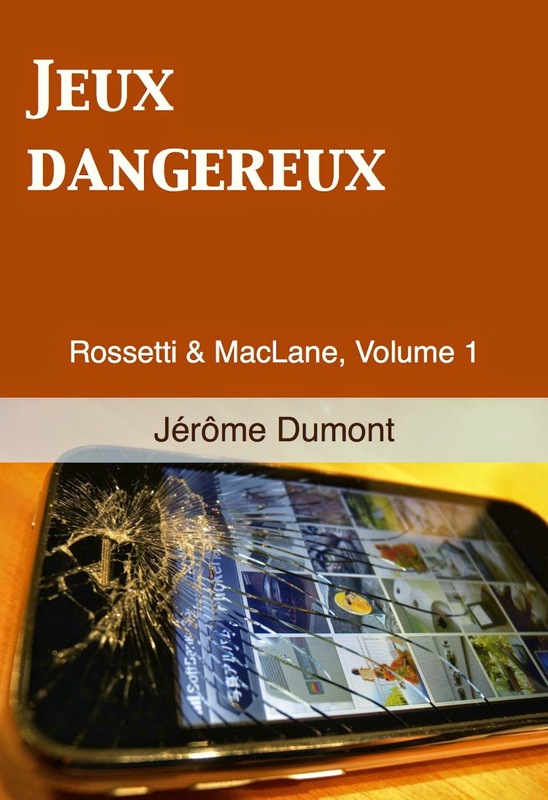 From Nice to Montreal, at an accelerating pace set by an ever changing landscape of new technology, Gabriel and Amanda are drawn into a whirlwind of unexpected twists and turns that leave them – and the reader – breathless. Relying on Gabriel’s valuable contacts and Amanda’s computer know-how, the duo has to unravel a dangerous web to save Amanda’s start-up video game company from falling victim to malicious players who have illegally stolen personal data from millions of on-line gamers. See the universe of technology and video games in a light you never thought possible! With the objective of confirming the adage, "the law opens many doors, provided you use one to leave" I made my escape from the legal world in 2008 into that of multimedia, namely the production of video games and mobile applications. I had the pleasure to participate in the creation of a dozen games and to immerse myself in a crazy and creative environment where I could trade-in my suit for a pair of jeans! years), my native south of France and Quebec, where I've been living for more than eight years. I've been exposed to a mixture of cultures, influences and a variety of experiences that have all served, in turn, to satisfy and stimulate my curiosity. My sense of humour and innate refusal to take myself too seriously also play a big role in how I see life: an attitude I credit to my grandmother, who instilled in me the love of a good turn of phrase and a play on words. However, although the desire was there, the inspiration was not - at least not at first. Then, one special morning, the characters I'd had in mind for a while began to come to life and the Rossetti & MacLane novels were born!